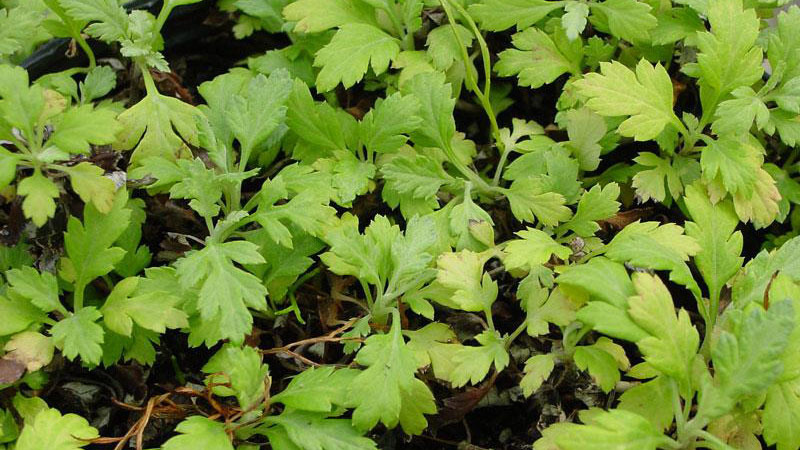 Mugwort is a perennial weed with very distinctive alternate and dissected leaves. 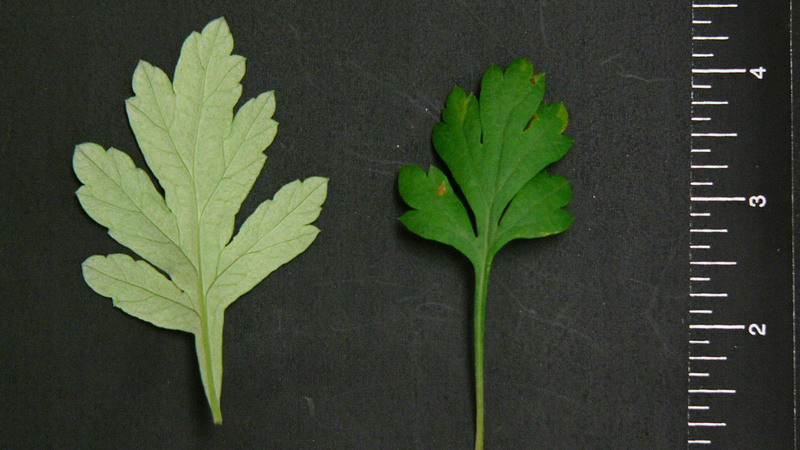 The upper leaf surface is bright green and smooth, while the lower leaf surface is light green in color and very hairy. 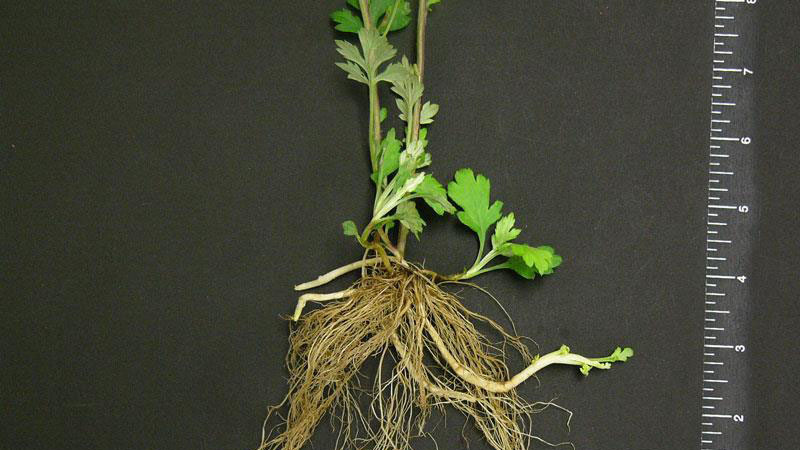 The leaves resemble common chrysanthemums, and also emit an odor when crushed. 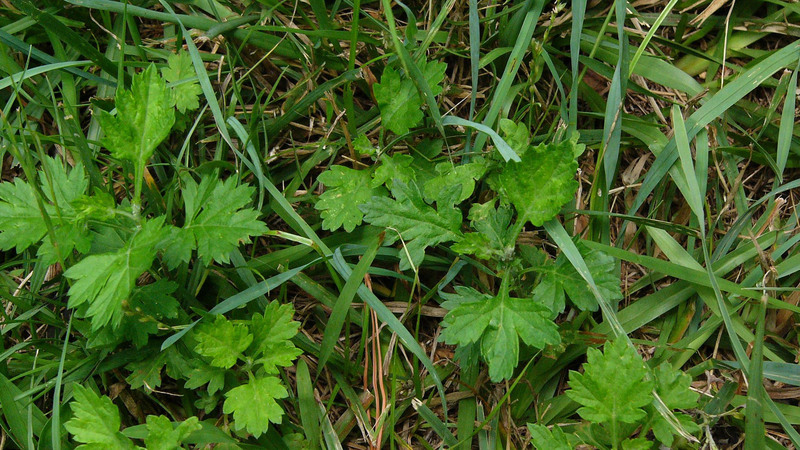 Mugwort is commonly found in waste areas, flower beds and lawns. 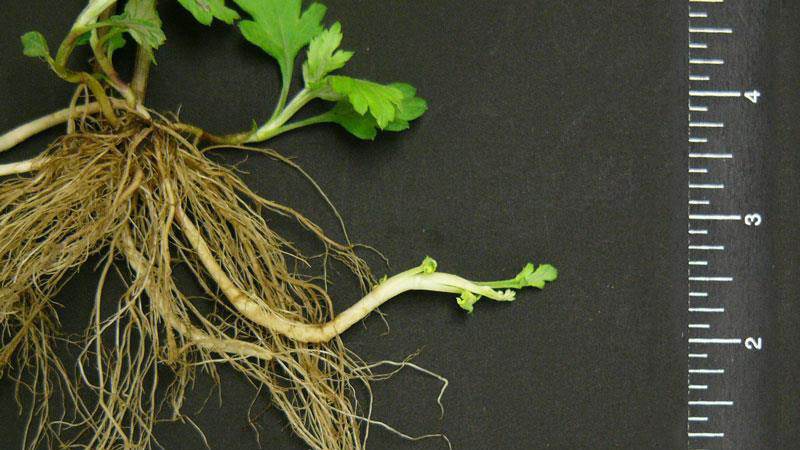 Its strong and persistent rhizomes mean that cultural and chemical control can be difficult. Figure 1. Mugwort growth habit. Figure 2. Mugwort. Figure 3. 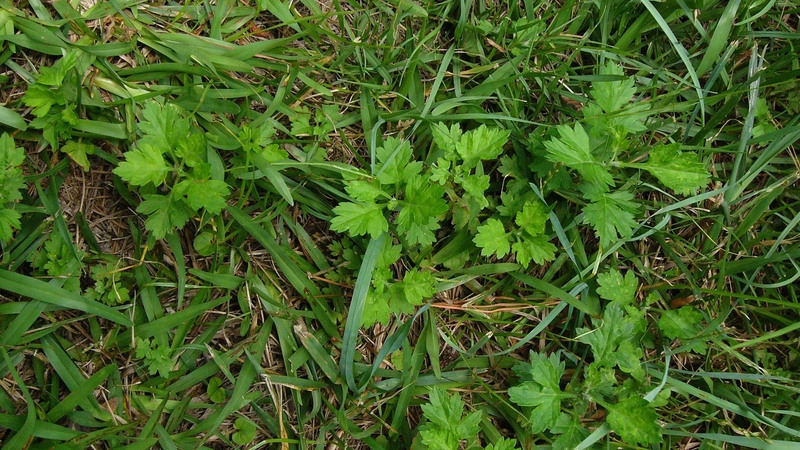 Mugwort growth habit. Figure 4. 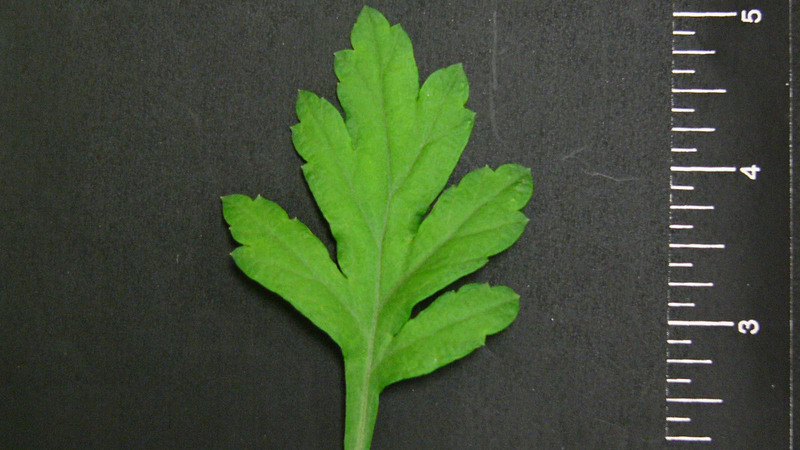 Mugwort leaflet shape. Figure 5. 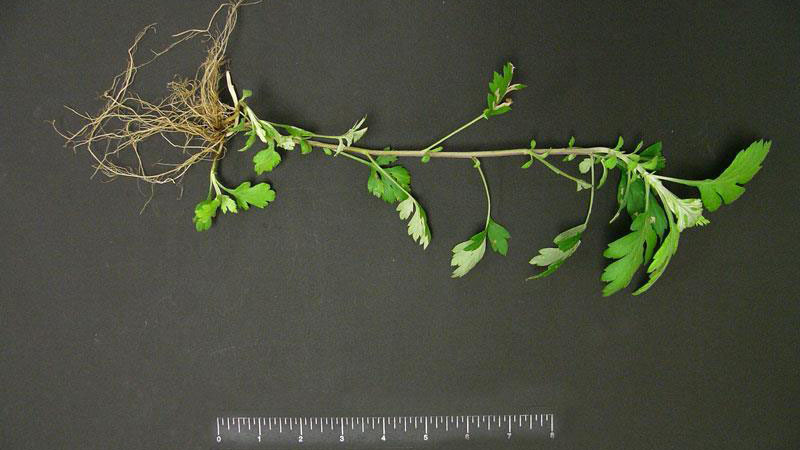 Mugwort leaflet shape. Figure 6. Mugwort leaf arrangement. Figure 7. Mugwort root type. Figure 8. Mugwort root type.